The April feature patch is here and there is much change! First thing to do is log on every one of your characters and check your mail. Enjoy the unidentified dye influx if you maybe took my advice about buying regular duplicate dyes before the patch. 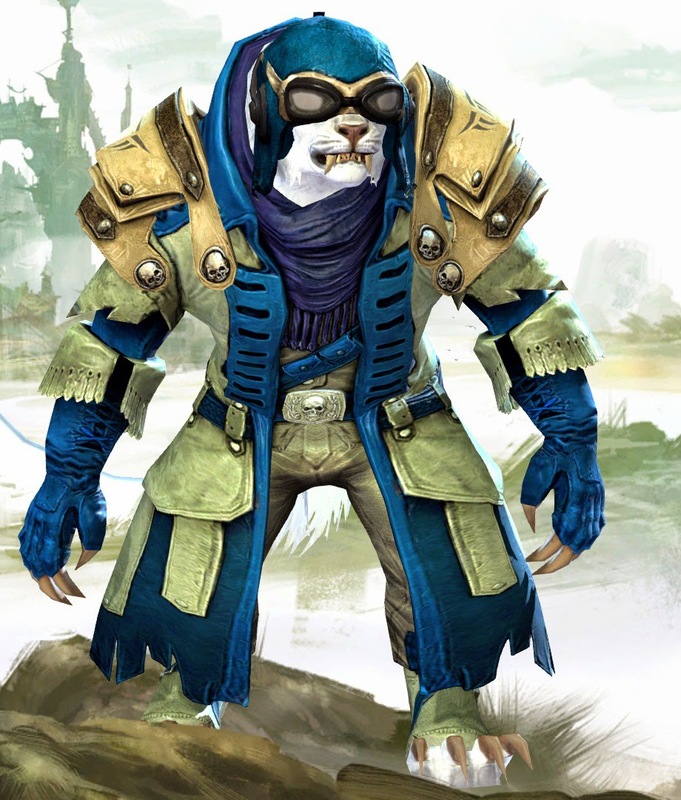 Then go to the black lion trading post armor trader and convert your town clothing to the new version of town clothing (if you want, I think it's almost a requirement as there's no town clothing window any more). After you might log one character into the eye of the mists to unlock your PvP wardrobe. From here it's a time of experimentation - both with new traits and new looks. Here's a couple of my favourites after 20 minutes or so. It's also a great time to find bargains on the trading post. Dyes are plummeting in price - don't sell your unidentified dyes yet. We're talking months before you'll get the optimal return from them (and I think we will because they won't be dropping any more). Check for exotic or rare skins you like the look of. Some of the better looking will rise steeply in demand with this patch. There will be a lot of ups and downs and some winners and losers over the next week. Over all there's a lot to do. Let's get cracking!